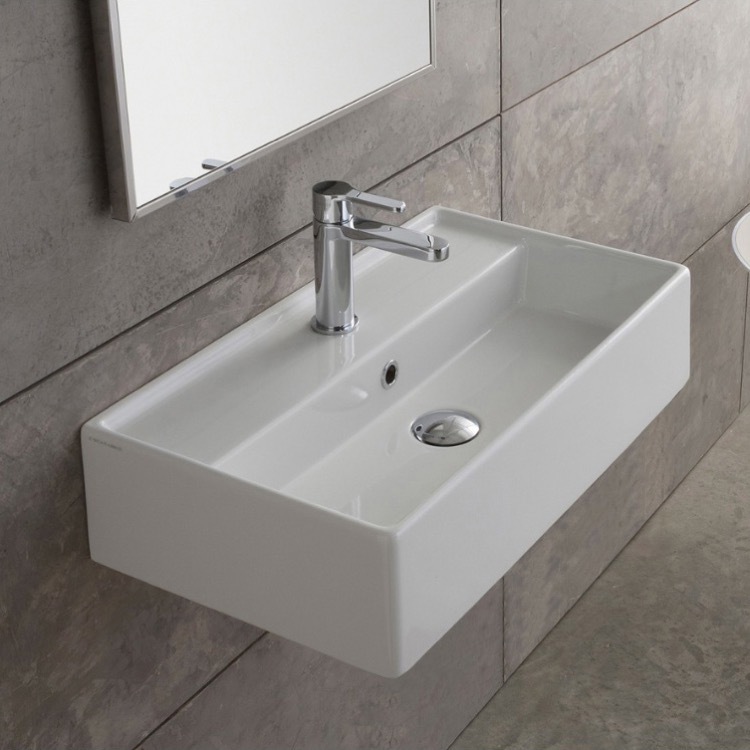 This beautiful rectangular ceramic sink comes as either a bathroom vessel sink or wall mounted model with included overflow and mounting hardware. This contemporary style sink can be configured for single, three, or zero holes. 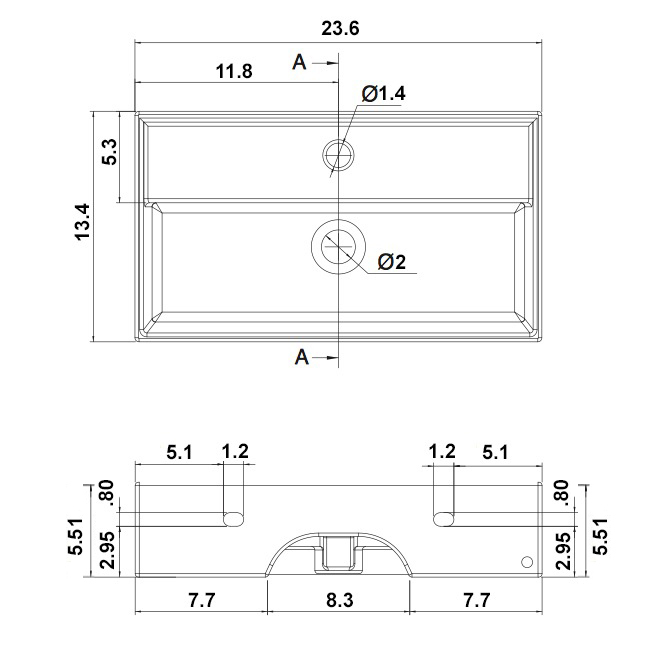 With dimensions of 23.62"x13.39"x5.51", this model will fit perfectly into your bathroom.